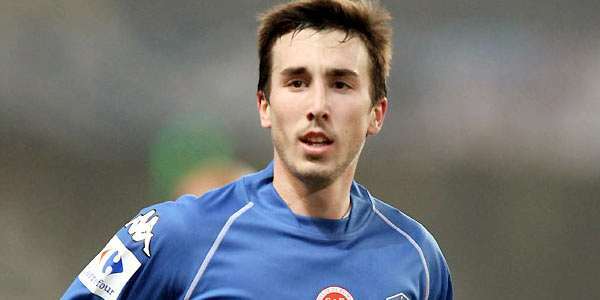 Newcastle United finally sign 3 year pre-contract agreement with Romain Amalfitano? | NUFC Blog. Of course, neither Newcastle United nor any other club can actually sign the the fancy Frenchman yet, however it has been mooted for some time that the player may be signing a pre-contract agreement with the club. Curiously though, the length of contract mentioned was, as above, three years, not the usual five or six that the club seem to prefer nowadays. Perhaps the reason for the pre contract is that the player will be out of contract with his current club at the end of the season. “I am a Reims player and I will be out of contract at the end of the season. I want to finish this season strongly. Here’s Amalfitano scoring the only goal for Reims against Montpelier in last season’s Coupe de France. Well the guy can put it in the net, something lacking from our midfield at present. Looks like there may be some serious business done this summer and the club are wasting no time. Hopefully we can strengthen our back line, plus i would like to see Jr. Hoilett arrive, but probably wont happen as he is being chased by some top sides. Ah well! any strengthening of the side is welcome. Oh ! forgot whats with the three year contract, thought Ashley wanted everyone under control with at leas a four or five year deal? Still better than Raylor who got a two year extension, guess he’s on thin ice. Hope the arseholes (Whom I suspect were mackems) that tore down the signs at St.James’ (Yes St’James’) last night, get a lifetime ban from the club and a severe kciking everytime they show theyre faces within 1 mile of St James park. Damaging the property is worse than renaming it IMHO!! if Newcastle have signed him then where will he fit into the club start of with the reserves or will he be part of the first team squad. from first thoughts i think he might start with the reserves like abied but at 24 its to old for reserves. 3 year contracts are good for signing players ‘untested’ at top level. I would think that if a player takes to the Prem league well in his first season, then you would think the club would offer an extension to keep him. If he fails to make the grade, then at least there isnt the risk of having to pay the extra 2 years. 5 year contracts seem to be given to players who are preforming well, and/or show great potential (eg. Krul) or are proven at high level (eg Cisse) – its keeps them tied to club in long term, while keeping player price high should a club come in with good money (eg. Carroll). Can’t these thickos realise that demonstrating against Ashley in such a manner is only going to antagonise him again. He hasn’t got a lot of time for Toon supporters anyway so this will definitely not help his demeanour. For Hell’s sake, let sleeping dogs lie. Just seen Llambias on ChronicleLive – must re-read it before I comment – if you havn’t seen it get a copy asap! Llambias has admitted he and owner Mike Ashley still call the club’s ground St James’ Park, rather than the Sports Direct Arena. why CH was sacked – Llambias wanted somebody who would speak their mind in the managerial hotseat – and he admitted that he and Pardew regular have rows over business. He said: “I wanted somebody who was going to sit down with me and give it back to me, somebody who wasn’t frightened. He said that in an interview quite a few years back, Supermac. It will never earn the club £10 million per season. It will remain as the S_____ D_____ A____, and the club will receive nothing, or next to nothing for it. That’s just to dispel the image amongst some fans that Pardew is a “yes man” Supermac. Yes Llambias did want someone who was more like him, he wanted a liar. Raylor got a 2 year extension only ‘cos he’ll be 30 when it ends, then he or anyone else, most likely, will get 1-2 year add ons if they are upto & up for it. Unlike Capt. Colo as he is an exception & it’s to either ward off or out price suitors. Raylor ain’t ‘on thin ice’ mate. he’s just recognized as a good utility player, not some world beater. Every team has them, ain’t gonna set the football world alight, but does a decent all round job when asked/expected. This whole idea that every player has to be brilliant all the time or they are deadwood is well old now. We’ve probably got the least no. of ‘deadwood’ players we’ve had for many a year. So please stop singling out ‘unfavoured’ players for extra stick. Ok, you can if you want, but the next one to do it smells of rotten eggs, or something. Johno Toon, Whilst we’re on the subject of dishonesty, what all this “Billy Bunter” business about and the phony e.mail address? its what you call PR billy banter. having an unhappy camp makes way to position teams to exploit. giving the impression of a happy camp means other teams wont know which players to exploit or which two of three players don’t like each other. clearing the “air” and not having a “yes” man as manager will give the impresion to future players that we can actualy achieve something instead of just advertising sports indirect. all these comments point towards thetime of year where we start contacting players agents for summer purchases. it would be pointless to release this type of statement at the beginning of the season as “yes” man rumors would continue. at least now the rumors have a chance to convince some people of a happy camp and improve the chances of a player choosing us instead of the likes of arsenal or Chelsea which i could imagine would be who we will be competing against for some of the younger players knocking around the European leagues. as a player if i couldnt make it into man u, man city or spurs id be looking for a top 6 or 7 team. out of those you have arsenal, chelsea, liverpool and us. as a player i dont think i would go for arsneal or chelsea, too many problems but liverpool have just won a cup. so trying to look in from looking out i would say we have a hard task to compete against Liverpool for potential players in the summer. and it looks to me like tiote is off. but then again did lamarse not make the same comment a while back? £100k per week arsenal might offer might be a little too much to turn down. Ffs. We are so desperate for a centre half yet we keep getting linked with more bloody midfielders. If Williamson starts against arsenal and plays like he has in the last 6 games we’ll get mullered. We need a pacy centre half alongside Collo asap, not some flash midfielder. Clint, Obviously there are exceptions, but the players who offer the best chance of making large profits on resale are generally midfielders and strikers. Hmm! looks like the NUFC PR Dept. once moribund is now in full swing, with Pardew being described as “The Shining Light” or something similar, in one blog. Llambias in turn, tells us rhe reason our previus Manager Hughton,was dumped,was because he did’nt argue with him and it was time to kick on, hmmm ! Why would Hughton attempt to argue with someone who’s expertise was about gambling casinos, an ignoramus in regards to football. But apparently he’s a quick learner “wor Derick”, knaas it all now and is quick to let us know what the real deal is, gee thanks Derick ! Question arises, if we are to sell our best player/players, when will we ever challenge for silverware ? or are we more a club just lookig at generating profits for our owner. The euphoria generated by a sixth place EPL spot says it all, something that would have been a negative in SBR’s time as manager.is now considered success. Do you really believe both Raylor and Williamson are good journeymen players ? They are deadwood Clint and it’s my intention to continue to voice that opinion. If you look at the job Arry has done at Spurs, buying and selling and bringing in kids developed by the club. Where we inject a Raylor he has a Krancjar. The same at other top sides, in other words quality in depth. We on the other hand have a small (and according to Derick getting smaller) squad with a benchfull of kids and deadwood and of course Santon and HBA, for who knows what reason, have to ask Pardew. The reality as opposed to the PR are a long way apart, but finally Ashley is getting his moneys worth from the PR Dept. That my friend is a laughable explaination. The prime factors as far as players either leaving or joining clubs is primarily money, then both location(London) and the quality of the side, coming secondary. Sure our French and African recruits are happy to be here (that is right now) they can use their first season as a showcase, they being guaramteed a starting role at this club. Look at Germino at Arsenal, a player we were chasing, not exactly a starter at Arsenal. (they are aware of Ashleys parsimony)they will jump. Of course this appears to be the plan, eveyone gets what he wants, except for the fans. Could be another fifty years before we win anything, with this system in place. “Llambias in turn, tells us rhe reason our previus Manager Hughton,was dumped,was because he did’nt argue with him and it was time to kick on, hmmm ! Pardew not a yes man ? But has’nt Derick explained it to us, they argue and fight, ending up with hugs all around. But seriously, i really wonder if Pardew has any say in who’s brought in and who’s traded, or is it a joint agreement between Carr and Ashley. with Ashley having the last word. Somehow i just get the idea that Ashley is a Micro- manager, formerly known as a control freak. Brentoon-there it is again. We didn’t get 10M. We got 40K. But hey, the propaganda campaign is working. Speaking of which: the puff piece at the chronicle is a tremendous waste of time. It has no substance and as an explanation it can’t be confirmed or refuted. The whole point is to dispel the feeling that AP is a yes man. Yeah, they wanted someone who wouldn’t be afraid to disagree…like Keegan, right? D’oh! I’ve never seen any actual concrete evidence of that either tunyc, it’s just “allegedly” or “reportedly.” I still await the latest accounts to see if I can track anything down. If it was true, it could just be the cost of the ever increasing new signs, well over 70 of ’em now! Even looking at it from a hard nosed business perspective, it cheapens the “brand” of Newcastle United so much that the club could actually be LOSING money because of it in the final reckoning. Mirror group titles / reporters, which include the Chronic and the Journo, are Ashley’s propaganda vehicle. I may have mentioned this before but I play a little game with myself called “spot the Llambias quote” whenever I read something in there from a “Senior Newcastle United source” about the madness of King Kev, Hughton letting a clique of senior players run the club blah blah. He’s about as subtle as a sledgehammer, and has a fairly distinctive turn of phrase sometimes which occaisionally gives the game away. The way he talks about “Mike” is another one too. Worky, if I didn’t know you better (which I don’t! ), I would have to conclude two things: one – you are a walking encyclopedia, and two – you have a major and very serious mistrust of Messrs. Ashley and Llambias whom you hold by the scruff of the neck, one in each hand, whilst keeping a sideways glance on Mr. Pardew. Am I correct? Na, i didn’t say they were good journeymen. I just stated the fact that not all of our or any team are world beaters. It’s just that i choose not to slate our squad players incessantly & when they’ve moved on, slate a new set of ‘deadwood’ players. You’ll rarely, if ever, find me slagging any of our players other than stating that they didn’t play well in a game. I support the team, it’s a fault of mine & probably my worst feature. Have I stumbled upon a conspiracy theory blog? I’m no fan of the failed MA publicity machine and he has a lot to learn about what makes a toon fan tick, but the way DL’s interview is being micro-criticised makes me laugh a bit, I’m just wondering what the poor git has to say to convince you they are trying to run a business they probably wished they’d never bought into in the first place. The results financially and team-wise suggest they’ve muddled through pretty well really, and of late their decisions seem to be good rather than bad. Some of you are so paranoid it seems like you are waiting for Llambias to rip his mask off to reveal he is an alien or a s*nderl*nd director. It might be better to hold counsel and wait until something goes drastically wrong before recording your erroneous paranoia permanently. Wow! Just read some of the comments. Spin ain’t the preserve of the Newcastle Board, then. Well I was quite a precocious child who used to win quizzes, competitions and stuff like that and I was also invited to join “Mensa” too (UK organisation for people with IQs over 140). I wouldn’t join any club which would have me as a member though ;-). I tend to be quite obsessive and “forensic” about subjects I’m interested in, and tend to notice details which most other people miss out on initially, or miss out on completely. This can be quite tedious sometimes. If that makes me a “walking encyclopaedia,” then so be it. When most fans were attacking Ashley, I actually defended him on quite a few issues when they were erroneous, but I shouldn’t bothered really in hindsight. Of course, both Ashley and Llambias are habitual liars, Ashley’s whole business was built on conning and misleading people. His business model is to buy struggling brands which have a reputation, take them completely downmarket but use the brand name to make people think that they are getting a “bargain”. One little trick of his is his infamous fluorescent 50% off / 70% off tags, which are actually placed on the garments in his sweatshops in South East Asia. He’s a “huckster” of the first order, but unfortunately, he’s very good at it seemingly. The way he runs Newcastle United is exactly the same, most things are some kind of deception or other. Even when he doesn’t have to deceive, he does it sometimes just for the hell of it. The last owners, Fat Freddy and Dougie Hall were absolute horrors too as you may know. I used to call Shepherd the “Byker Beelzebub” and I know someone back in the old town who used to know him when he was on his way up. There are some stories I could tell you about him on here from his time as a scrapman, especially the one about the fencing and roadsigns in the Tyneside area which were constantly going missing, causing potential injury and death, but I shall resist that temptation. Even with John Hall, I’ve spoken to contractors who dealt with him when he was building the new stadium. I think some of ’em are still waiting of their money! The thing is about Ashley though is that he’s much bigger and more powerful than the likes of Shepherd. After he truly buggered it up with Keegangate / relegation etc, he brought in the PR cavalry at some expense, and their has been a concerted effort since then to twist those who don’t have the time or the abilty to really examine closely what he is doing round his little finger. To those who don’t know any better and think that I am “paranoid” in some way, I have actually spoken to someone who’s quite well known in the marketing industry about Ashley’s stadium renaming sham to check whether I was delusional in some way and he couldn’t come to any different conclusion than the one I did! But anyway, that isn’t it. What I really despise most about Ashley, apart from his attempts to eviscerate the soul of Newcastle United and make it subservient to his main interest, Sports Direct International PLC, is his devisiveness and what he has done to the fans. 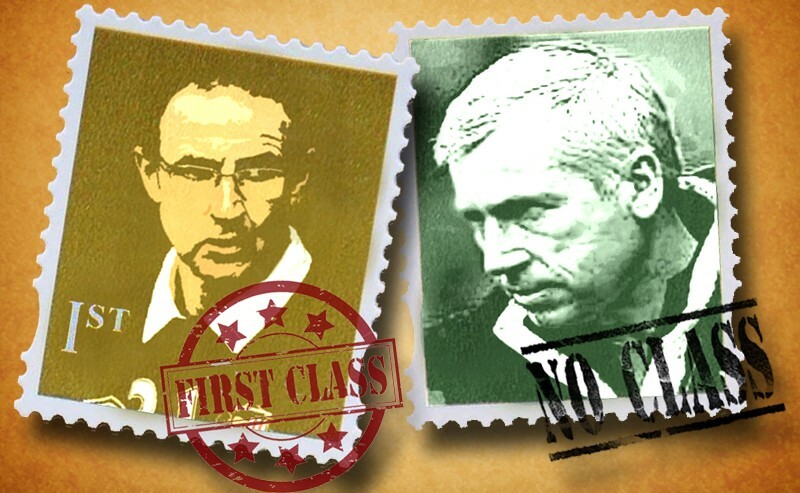 Llambias and Pardew are merely incidental. Excellent commentary Worky, thank you. I admire a man of integrity and all the more so when he is a Toon fan. Somehow the two go together which is also why you perhaps have trouble with Mr. Ashley. The point is though, Worky, as we have now discovered – and as you no doubt already knew – he’s a Chelsea fan which, perhaps, explains a very great deal. I believe I mentioned it earlier today. He did mention it in a very rare interview he gave years ago, and he also reminisced about the times he spent following the English national side around, to the World Cup in Mexico and elsewhere. The whole thing about him being a Tottenham supporter was ridiculous. It was all because of his relationship with Paul Kemsley, a close friend and business associate of his who just happened to be vice chairman of Tottenham when the rumours started. That was it! People just wouldn’t beleive me when I told ’em on numerous occaisions though. Daft gets! Incidentally, I beleive that Kemsley’s now the Chairman of a famous club on your side of the pond, the recently resurrected New York Cosmos (I know it’s a few miles down the road from you in Hollywood though!). Worky, you’ve got too much extraneous info in that head of yours! Time to turn the lights off and get some sleep! Aye Paul, that’s exactly what I was doing. Later! Worky, still expect idiots to refer to Ashley as a Tottenham fan, and a Cockney. It’s called ignorance, and apparently it’s bliss. So you think it’s good that a section of brain dead morons caused havoc at SJP? You think it’s good that these dickheads give our supporters a bad name just because you think it will antagonise MA??? You sir, are a moron of the highest order and seriously need to grow up. It’s no wonder this blog is going down the tubes. “So you think it’s good that a section of brain dead morons caused havoc at SJP? You think it’s good that these dickheads give our supporters a bad name just because you think it will antagonise MA??? Whilst I fully realise that commercial sponsorship is a reality of the modern game when done with some semblance of taste and discretion, Sports Direct’s comprehensive and tacky rebranding of the club, the cheapening of it by Mike Ashley’s foremost business interest, Sports Direct International PLC, has long since gone beyond the pale, with or without the current stadium renaming scam for which the club are receiving absolutely nothing. To me, that is the real vandalism of St James’ Park. ps How is this blog going “down the tubes” exactly? Yeah i realise i can be annoyng at times and tend to repeat myself, it’s just i got this habit of calling em like i see em. But that’s what this is all about init ? If everyone was of one mind, might as well shut down the blog. Would like to say i will try to less annoying, but that would be a lie. Who will he replace ? Tiote? nah dont think he’s a DM. HBA? could be, not exactly a favorite of the Silver Supremo is he? Forget Gosling and Guthrie, even a combined fee for these guys would’nt bring in much. Reading the recent PR about the flnancial situation, plus Llambias come and get em statement, appears its our best players who may be on the block, Ba, Cabaye and Tiote. I suppose they think following last seasons windfall from the Carroll sale, this policy can be repeated. A system of buying cheap and selling for a big profit. Which in turn will pay off the debt owed to Ashley, which in turn will leave us a mid table side. Everything depending on shrewd purchases of course, an assembly line of players coming and going. Not unlike the retail business, which Ashley understands and is obviously applying to football. Of course unlike Arry at Spurs who refused all offers for Modric, our guy is inviting bids. Which could result in the club, though remaining in the PL, will be nothing more than a mid table also ran, as long as this policy remains in effect. And contrary to whatever you hear from Llambias and the PR dept. about players wanting to come to this club. The fact is they are all aware of the salary limitations here, but realse it’s better to showcase themselves at a club like NUFC, knowing we are a stepping stone to a “Big Club”, a club like Spurs, which we could easily emulate and may somewhere down the road. But not before Ashley gets his dosh back. just finished watcing Everton beat Spurs, whats happening to Arry and his team, thats three in a row i believe. Maybe Pardews looking to go 4-3-3 next season with Tiote cabaye and Amalfitano and then Ben Arfa and Ba on the forward wings and Cisse up front? That or just better backup then Guthrie and Gosling. Curse of England, Chuck. It’s like the black spot, or the curse of the monkey’s paw. Thank you 5under1and for you supporting role in beating our rivals Liverpool yesterday and donating 4 points to us this season, keep up the good work! I see Pieters has made a comeback for PSV after a 4 month foot injury – let’s go back & get him! Workey – yes, but 6 points behind us – to finish above Liverpool would be an achievement. I think Arsenal & chelski are out of reach now. workey – “What about Vertonghen, Supermac?” yes please, but aren’t arsenal & spurs in a bidding war for him? I doubt if we could/would compete with them. Ok so we sign Amalfitano, who’s an attacking midfielder. What about Corgnet, who’s actual role is still in question, but recently given an attacking role. Unless there’s going to be a large cleanout of our midfielders, both good and bad, to be replaced by French and other bargains and funded by the hopefully big bucks from the likes of Tiote. Guess selling our fan favorites will go over like a lead baloon, but the assembly line has to be fed. Think of it this way, the sooner Ashley get’s his dosh back, the more inclined he may be to fck off. In no time a process of rapid revisionism will take place, they’ll be seen as liabilties we were well rid of, greedy bastards etc… That’s the psychology of the herd. “Ok so we sign Amalfitano, who’s an attacking midfielder. Chuck, Amalfitano would be looked on as more of a reserve team player with prospects, like a Vuckic or an Abeid rather than a Cabaye. Reims are a second tier club in France and even if Amaltifano had a fee, it would only be a small one, under a million or something like that. Once again Barnum’s addage, thers one born every minute, comes to mind.